As one of the tallest buildings on the Upper East Side, Trump Palace distinguishes itself not only by reputation, but by unique postmodern architecture and design. Developed under the vision of Donald Trump and architect Frank Williams, Trump Palace rises 57-stories in the heart of the Upper East Side, and has distinguished itself as one of the most recognizable buildings in the New York City skyline. 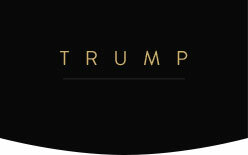 Opened in 1991, Trump Palace introduced 283 of the city’s finest residences, which include full-floor penthouse apartments, as well as private townhouse-style units. With over 129 unique floorplan designs throughout the building, residents enjoy not only a diverse, economized collection of living spaces, but protected views ranging from Central Park to Greater Manhattan. Surrounded by the famed cultural and social amenities of the Upper East Side, Trump Palace offers residents endless access to the finest in New York City’s dining and shopping palette.